For all posts about all fire department fundraising activities. 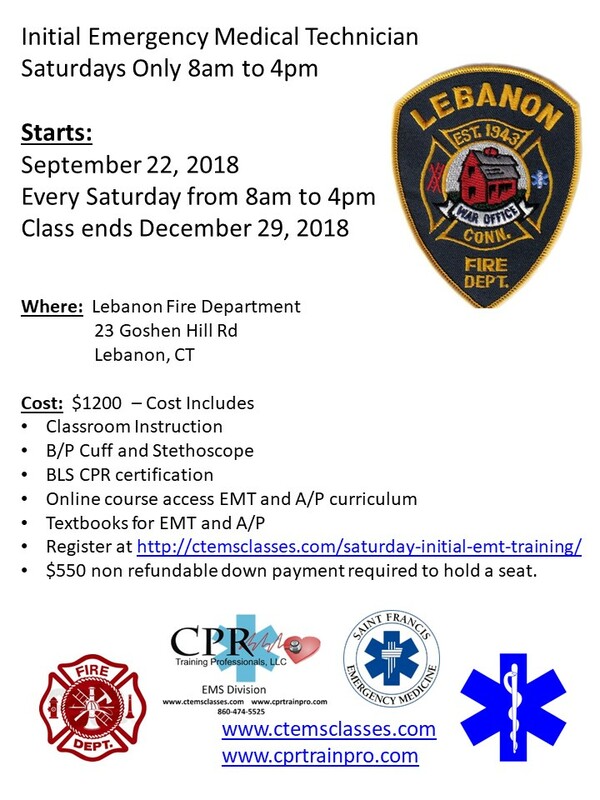 Please view the attached flier for information regarding an EMT class being hosted at the Lebanon Volunteer Fire Department this fall. For questions regarding or more information, contact information is provided below! Revised ISO rating for Lebanon as of January 2015. The Lebanon Volunteer Fire Department has received notification that the ISO rating for the Town of Lebanon has been revised as of January 2015 from a 9/10, to a 8b/10. Below is a copy of the letter announcing this change that can be printed off for use by residents in updating their homeowners policy coverage.